As a general rule, the Commissioner of Taxation is only able to collect and retain taxes that are properly due to him, and he must refund any overpaid tax. In this context, it is not surprising that legislation which seeks to curtail the ability of a taxpayer to recover overpaid tax is the subject of controversy and dispute. That was certainly the case with s 105-65 of Sch 1 to the Taxation Administration Act 1953, which sought to curtail the ability of taxpayers to recover overpaid GST in certain circumstances. In May of this year, s 105-65 was repealed and replaced by Div 142 of the A New Tax System (Goods and Services Tax) Act 1999. Division 142 introduces the concept of “passing on”, being a concept sourced from the law of restitution, and operates on the premise that overpaid GST will only be refunded to the extent that it has not been passed on to the recipient. The division operates in a similar way to the Sales Tax regime that was replaced by the GST in 2000. 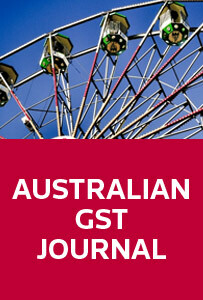 This article examines the concept of “passing on” generally, and undertakes a review of the decision in Avon Products Pty Ltd v Commissioner of Taxation (2006) 230 CLR 356, where the High Court considered the statutory provisions dealing with “passing on” in the context of the sales tax legislation. Both the Explanatory Memorandum to the Bill introducing Div 142 and the Commissioner rely on this decision in approaching the question of “passing on” under the new regime, and how the reasoning of the High Court carries over to the construction of Div 142 will directly impact on the scope of its operation. For the pdf version of the table of contents, click here: Westlaw AU – AGSTJ Vol 14 Pt 4 Contents or here: Checkpoint – AGSTJ Vol 14 Pt 4 Contents.